Congratulations to John Crabbe of Crabbe Construction winner of the 2014 James Russell Builder of the Year. Awarded to John for him excellence in Leadership, Dedication to the industry and Service to our community. 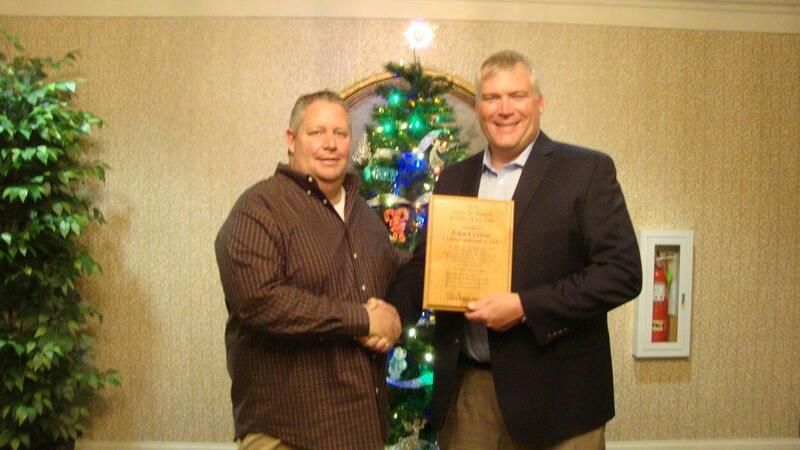 Award presented by Rex Hawkins of Hawkins Homes 2013 Builder of the Year recipient. Congratulations to Bobby Powers winner of Jackie Goad Hall of Fame Award. Recognized for his many years of dedication to the building industry. Award presented by Eddie Burchett right- Edward Burchett Const, 1995 CMCHBA past president. 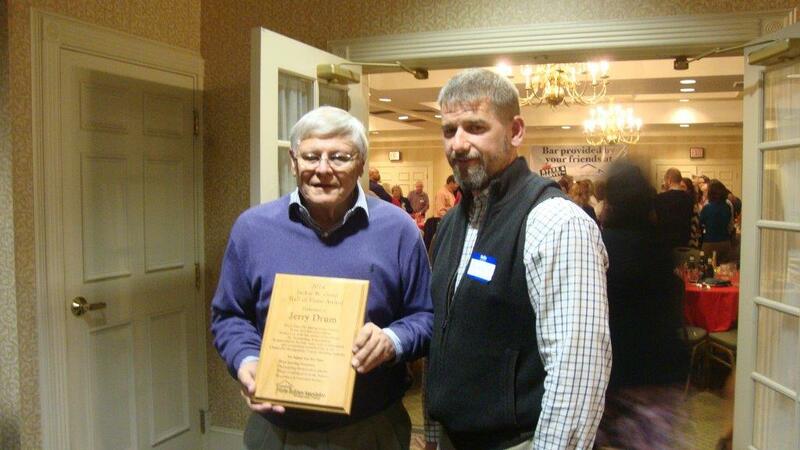 Congratulations to Jerry Drum winner of the 2014 Jackie Goad Hall of Fame Award. 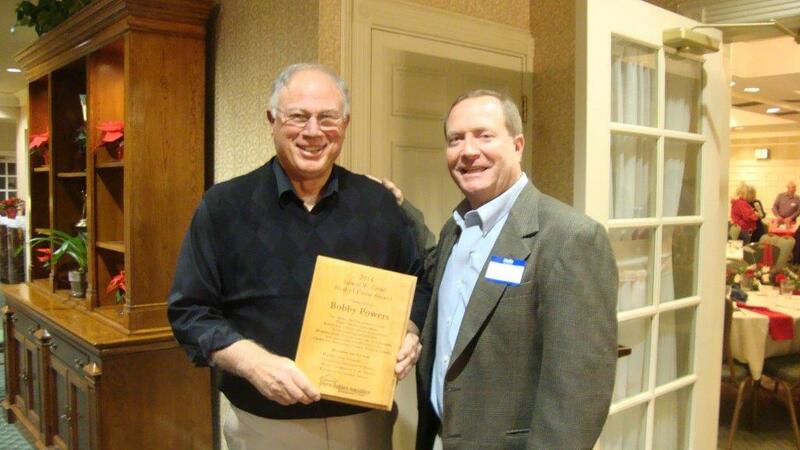 Recognized for his many years of support and selflessness to the Clarksville building industry. Award presented by Clay Powers - Powers LLC, 2002 CMCHBA past president. 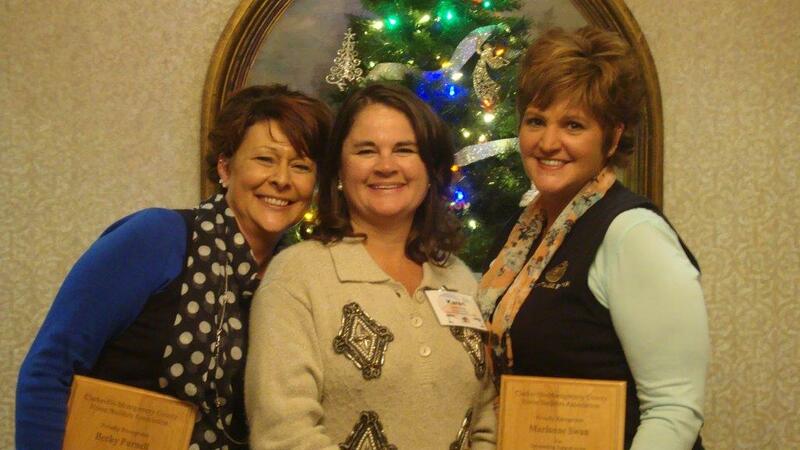 2014 Associates of the Year Winners Marianne Swan and Becky Purnell with Heritage Bank. Recognized for their support and dedication to the association.